The Cavaliers host the Knicks in Cleveland on Wednesday. However, on Monday they made their final visit of the season to Madison Square Garden. 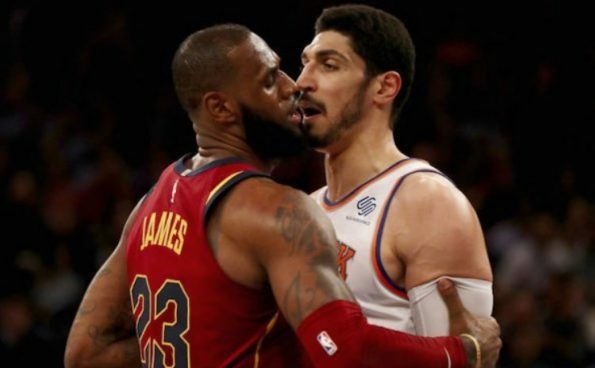 So LeBron James took the opportunity to rekindle his dormant feud with Knicks center Enes Kanter. Back in November, following a chippy game against the Cavaliers at MSG, Kanter took a shot at LeBron in his postgame interview. Needless to say, LeBron didn’t like that comment. So he responded the next day with an Instagram post proclaiming himself the “King of New York.” But that wasn’t the end of the beef. It was just the beginning. After that the beef kind of faded away, as both LeBron and Kanter moved on to other things. 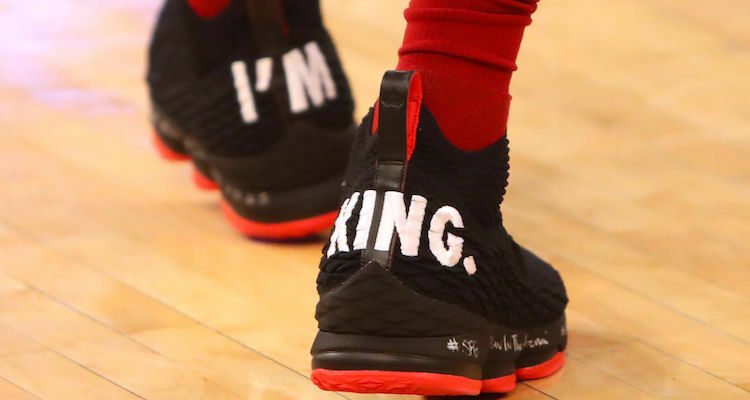 However, with the Cavs returning to Madison Square Garden on Monday night, LeBron decided to troll Kanter with a pair of Nike LeBron 15s with the words “I’m King” stitched on the heels. Seeing as how the Cavs won 123-109, improving to 50-31 on the season, while the Knicks fell to a sad 28-53, I’m going to say yes, LeBron is the King of New York until further notice.